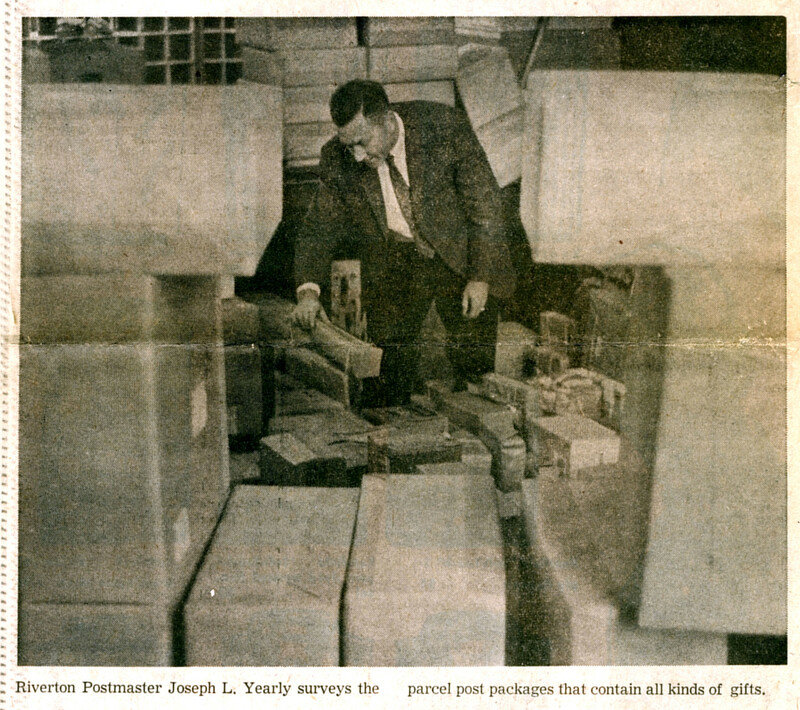 “Post Office Snowed Under With Parcels” read the headline in the old yellowed newspaper stored in our archive box in the Library basement. 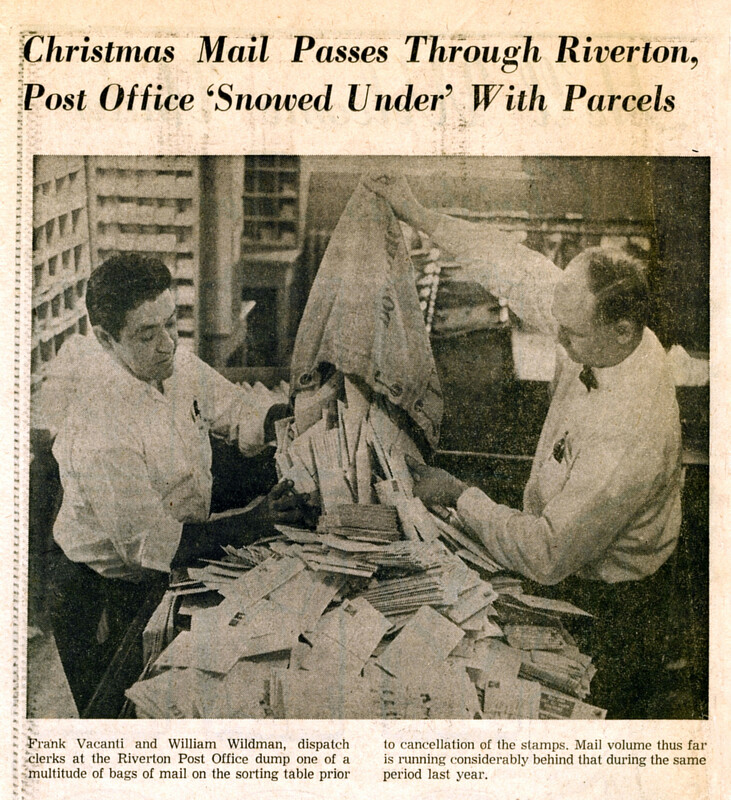 I first saw this when working a few years ago on a piece about the Riverton Post Office – or offices – since there were a few over time. No date – I looked on both sides for some hint. 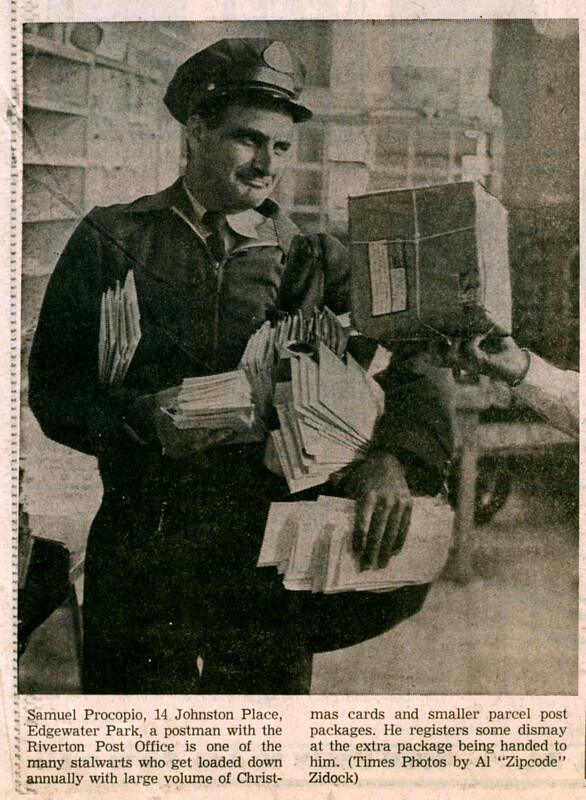 Al ‘Zipcode” Zidock, the BCT photog, captured Postal Clerks Frank Vacanti and William Wildman, Postmaster Joseph Yearly, and Postman Samuel Procopio on the job at the big brick former Riverton Post Office on Main. Then, as now, the US Post Office continues to deliver. Jeff at Joie Budget Printing in Cinnaminson turned around our print job in just one day, so I printed, stuffed, and stamped envelopes Tuesday and rushed the newsletters to the post office before 5pm. Coming right as the US Post Office prepares for its busiest delivery days of the year, I figured it would take a Christmas Miracle for newsletters to get to Society members before the New Year. Despite handling record-breaking volume again this year, the USPS has already delivered at least one newsletter to a Riverton address. I spoke to Nancy Hall this morning (Weds. ), and she had already received her mail-delivered copy. Pretty remarkable. P.S. 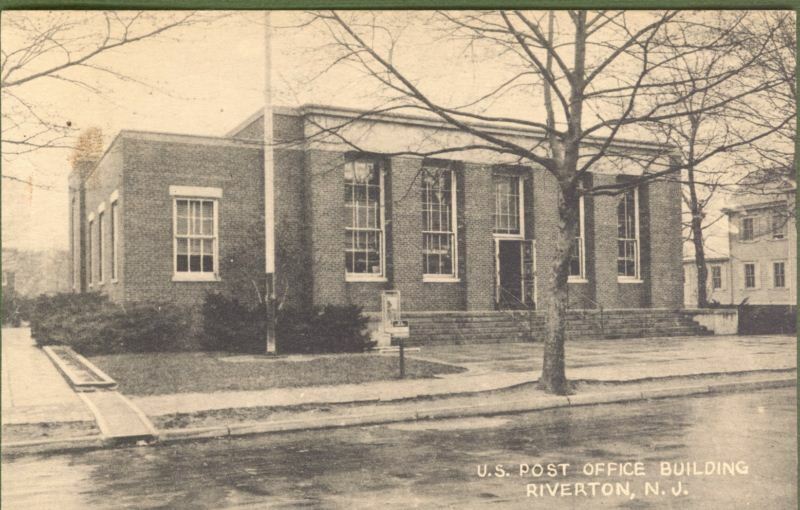 For more history of Riverton’s Post Office, posted in 2012, CLICK HERE.